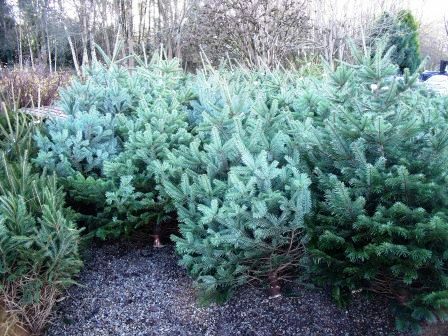 Our selection of fresh-cut, Devon grown Christmas trees are now available. 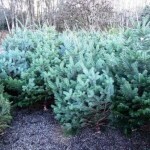 And there are, as usual a great selection of either Norman Fir (non-drop) or Traditional Norway Spruce to choose from. Being Devon grown means that they are super fresh having not been transported large distances crammed tightly into crates. Their quality and freshness means that they will last well through the festive period! To get the best from them we recommend cutting 3cm off the bottom and standing in a bucket of clean water for 24 hours before bring into the house. Trees will also last best if the stand used to display them holds water too. Remember to top it up regularly but be careful of water near any electrics! 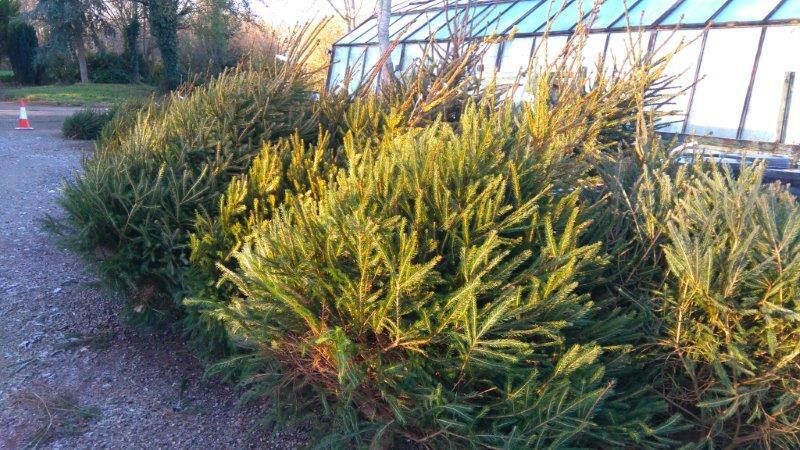 We also have a selection of pot grown Christmas trees for those who want a smaller tree that they can plant out in the garden after the festive season. Don’t leave it too late, if you like we can look after your chosen tree until you are ready to take it. 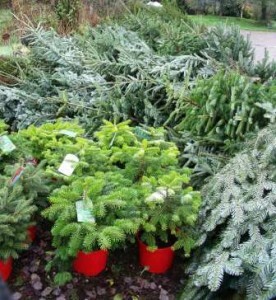 We are also able to deliver trees locally, contact us for details. Get into the Christmas spirit this Sunday at our annual Christmas Fayre. From 10am a number of different crafts will be on display at our Nursery. The festive atmosphere will be completed with the smell of fresh cut Christmas Trees and Mulled Wine. Come and support local crafts and pick a prezzy or two as well. Does’t time fly. 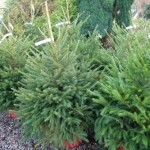 Christmas is appon us once again and as per usual we have our selected Devon Grown Christmas Trees. There are lots to choose from in sizes from 4 ft up to 12ft. 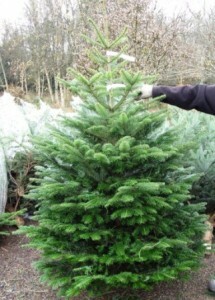 Traditional Norway Spruce, non-neddle-drop Nordman, and non-needle-drop Frasier fir offer something to suit all tastes. If you need a new stand to support your tree we have some sturdy ones that hold the tree and a little water reservoir to help keep the tree fresh. 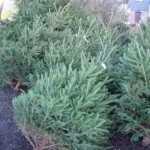 Trees can be netted for your convenience and we can even arrange local delivery if required. 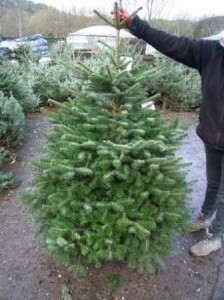 Call in and select your tree and if you are not ready to take it home yet then we can look after it until nearer to christmas. 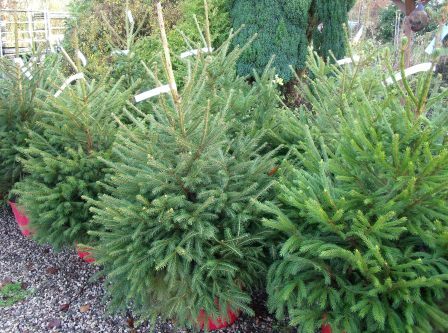 We also have some potted trees, mostly Norway Spruce, which if looked after properly ove the festive period could be planted out in the garden. 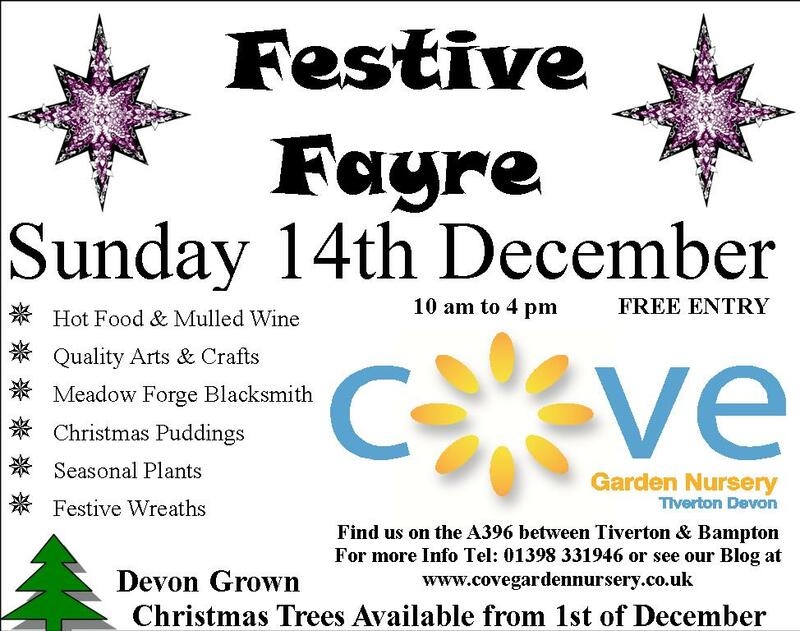 This December we will once again be holding our Festive Fayre. So put Sunday 14th December in your diary. 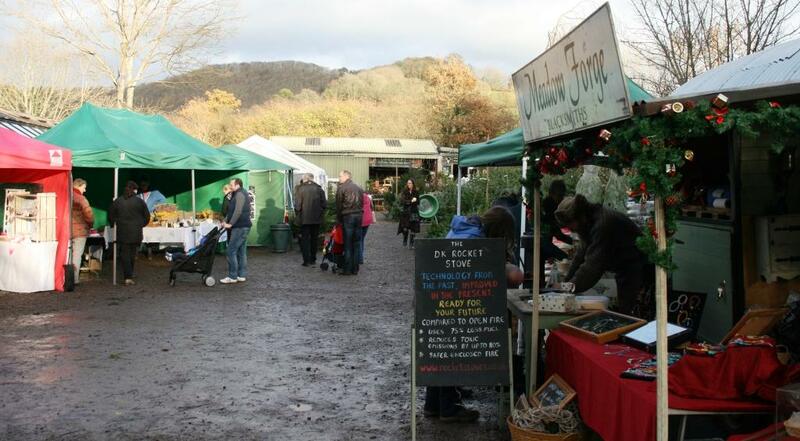 Expect quality arts & crafts, hot food & a festive atmosphere. Pick up a Devon grown Christmas tree at the same time as ticking of some of the gifts on your Christmas shopping list. See you there. We still have some lovely Nordman Fir Non-Neddle drop Christmas Trees, a few Norway Spruce and a few Frazer Fir left to sell. All our Christmas Trees are grown in Devon to ensure quality & freshness. 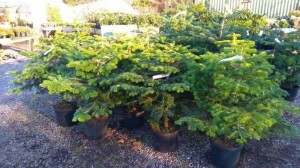 Sizes available now vary from 5ft up to 9ft tall so it’s not too late to get one of our high quality trees. We can deliver locally and deliveries to Bampton & most parts of Tiverton are Free! Christmas doesn’t start officially until the Tree is up and decorated so come in soon and let the festive season begin. The festive season has begun for us here at Cove with the arrival of the first deliveries of localy grown Christmas Trees. This year the qulity looks as good as ever with a even greater number of Nordman non-drop trees after such high demand last season. We still recommend getting in early so you can have the wides choice and we are happy to look after the tree for you until you are ready for it. Local delivery is available and is free to Bampton and many parts of Tiverton. Let the festive season begin! 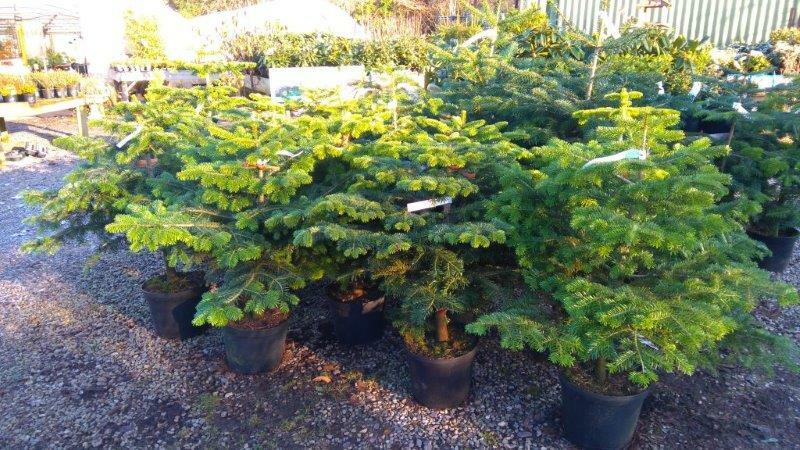 We have taken delivery of the first Christmas trees of the festive season on the day that we celebrated 3 years since our arrival at Cove Garden Nursery. As with previous years the quality is extremely high. 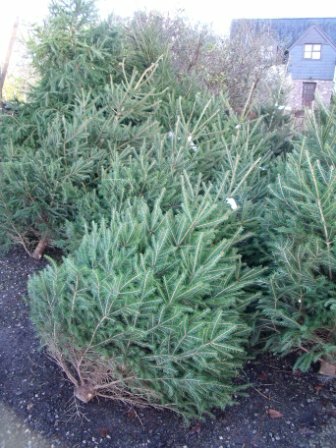 There are sizes from 4ft up to 12ft on this first delivey and we have both Nordman non-drop and traditional Norway Spruce. We can even arange for it to be delievred locally if you are unable fit it in your car. All thats left now is to come along and choose your tree and get the decorations down from the loft. We are offering a Free local delivery service for Christmas Trees to places such as Bampton, Stoodleigh, Bolham, Oakford and many parts of Tiverton. Offer available for designated delivery days and times only. Please call for further details. 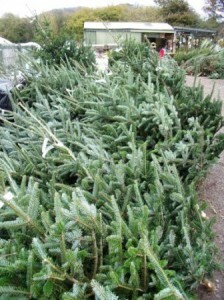 This years fresh locally grown Christmas Trees pictured straight off the lorry. 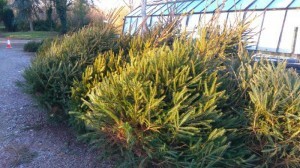 They were cut this week and the spruce were hand picked by Paul who also helped to cut them and load them up! 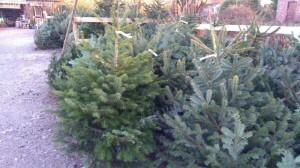 With these trees you can be confident that you are supporting local growers and saving ‘air miles’!